There are way too many DOD happenings all over town. So I am keeping it local, and real in my neighborhood — Boyle Heights (Aliso & Mariachi Plaza Goldline stops only). You are welcome to come down, we’ve got it all –music, art, food for the living y los muertitos, crafts, lagrimas y sonrisas, celebrities, new and old friends, timeless charm mixed with new adventures—but be warned, I predict it’s gonna get congested, so please take public transportation. Be sure to support the local merchants, artists and community spaces! October 28, 29 & 30 – Boyle Heights Farmers Market Harvest Festival at Plaza del Mariachi (1st & Boyle) 3-9pm. Free. All ages. A cocktail of crafts, vegetables, mariachi music, Tupperware, kids crafts, haunted house, pumpkin patch and pushcart vendors, in a beautiful historical setting. Don’t leave without taking in the view of downtown from the eastside. (Mariachi Plaza Metro station). October 28, Opening Night of “Revival” Day of the Dead art exhibit curated by Patssi Valdez, 7-9pm. Why go to LACMA to see what Patssi Valdez is up to? This year’s exhibit is an eye candy of installation and visual art which includes many notables. SHG, 1300 East 1st Street (right across from the Aliso Metro station). October 29, Noche de Ofrenda, 6-9pm. Get the lowdown on what Dia de los Muertos is all about. Reflect and commemorate your dearly departed with the spoken words of Letras de Maguey and the timely history of this ancient custom by Master Altar Maker, Ofelia Esparza. SHG 1300 East 1st Street (Aliso Metro station). November 2, Celebrate at the NEW Casa 0101 Theatre, 2102 E. 1st Street starting at 3pm. 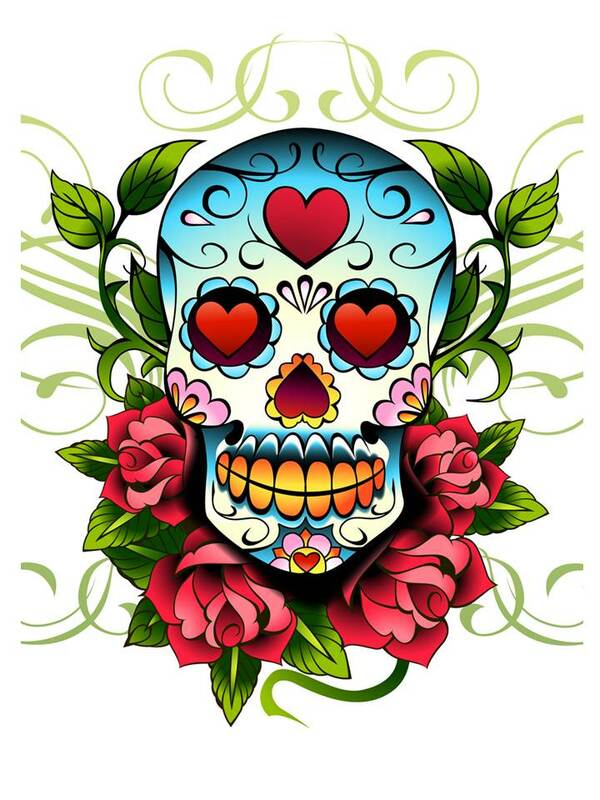 Enjoy a Burlesque & Calavera Show, 4pm and special art exhibit featuring classic SHG Day of the Dead artwork from previous exhibitions, as well as altars, masks, and works by Corky Dominguez, Josefina Lopez, and other local artists. Bring the kids and the whole family for fun, flowers, refreshments, and pan de muerto. Free. Then it’s off, in a procession along 1st Street to Self Help Graphics’ Festival at 4:20pm! (Aliso Metro station). November 2, Self Help Graphics & Art 38th Annual Dia de los Muertos Celebration. Starting at 5pm with a Walking Procession gathering, face painting & ceremony at Mariachi Plaza (1st St. & Boyle) Joining en-route 4pm at Casa 0101, 4:30pm at Corazon del Pueblo, 5:30pm Pecan Park with Amigos from Dolores Mission/Proyecto Pastoral. Metro Procession led by Tochtli 7 the Aztec Bunny, 4pm at Union Station 801 Vignes Street to Aliso Station in front of SHG! Musical Performances by Maya Jupiter, La Resistencia, Lysa Flores , Chicano Son, Hard N Da Paint, Hello My Name Is Red, Son Muxeres, Mariachi Tesoro Los Angeles, Pio Pico Middle School, Stage Band (Brooklyn Music Center), Thee Paramounts (Boyle Heights Arts Conservatory Band) with ELA legend Ruben Guevara as Emcee. Traditional Danza, Food and Craft Vendors, Face Painting, Live T-shirt Printing, Children’s Workshops. What can I say? It’s the Mother of all Day of the Dead celebrations. SHG, 1300 East 1st Street (right across from the Aliso Metro station). November 2, Eastside Luv Wine & Cheese (whine & ‘jeeez’) Bar, Dia de los Dead Oingo Boingo Dead Man’s Pari Tribute, 5pm. Featuring musicians John Avila, Steve Bartek, Sluggo Phipps & Johnny Vatos with art by Robert Vargas. An annual collision of Halloween costume dress code, hedonism and wine cocktails on top of a Day of the Dead altar squeezed into a phone booth. 1835 E. 1st Street. (Mariachi Plaza Metro station). November 2, Orale! : An Evening of Boyle Heights Stories, 7:30 – 9:30pm at the Breed Street Shul, 247 N. Breed St. (and Cesar Chavez). Residents young and old are invited to record their neighborhood stories for the Breed Street Shul’s oral history archives. Pictures and memorabilia of your favorite Boyle Heights memories are welcome. Special preview of new play Dia de los Dybbuk, a musical retelling of the classic story about a Jewish Exorcism, only this time set in the multi-ethnic community of Boyle Heights in the early 1940s. Please RSVP. The Breed Street Shul Project, the Jewish Historical Society of So-Cal & Libros Schmibros are co-sponsors of this Dia de Los Muertos program. (Soto Metro station). 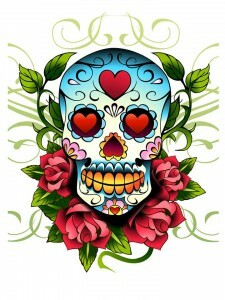 November 4, 5, & 6 Dia De Los Muertos Festival at Plaza Del Mariachi (1st and Boyle). More than likely starting in the afternoon. Featuring a live performance by Eziquiel Pena. Para variar vamos a celebrar Dia de los Muertos! (Mariachi Plaza Metro station). This entry was posted in art, Blogs, botanitas, boyle heights, culture, Eastside, Events, Food, Gente, Musica, Reviews and tagged Dia de los Muertos by Victoria Delgadillo. Bookmark the permalink. 610 S. St. Louis St.
Free admission with a Canned Food donation for the LA Regional Food Bank. Sponsored by the Boyle Heights Paranormal Project. Thanks Walt! I saw that El Random Hero had that listed somewhere on line—but it still makes a good addition to this. How can I hang with the BHPP? If somnambulism is a plus—that would be me.